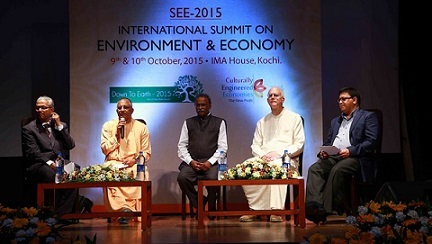 Kochi, Kerala: ISKCON recently organized the International Summit on Environment and Economy (SEE-2015) in the port city of Kochi, in an attempt to bring together various stakeholders to discuss and deliberate to unearth the deeper aspects of the environmental and business ethics problems so as to arrive at well-rounded and holistic solutions. Mayapur, WB: ISKCON Youth Ministry and ISKCON Congregational Development Ministry will hold their first ISKCON Youth Leadership Sanga in Mayapur, between February 24 and March 2, 2016. 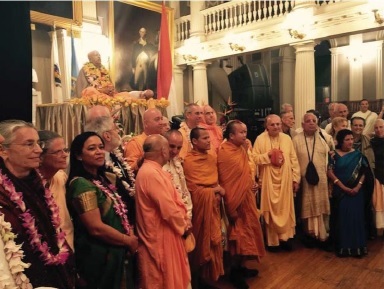 Boston, Massachussets, USA: On September 19, nearly 500 of Srila Prabhupada’s disciples and granddisciples from all over the U.S. and Canada as well as from Russia, Ukraine, England and India gathered at Commonwealth Pier – the same place he had arrived alone – to celebrate his priceless gift to them and to the world. Sydney, Australia: Devotees in Australia have booked Sydney Opera House for ISKCON 50th celebrations. The program is scheduled for the 20th August 2016. Sydney Opera House is considered to be one of the man-made wonders of the World. And the venue is known for its state-of-the-art performance spaces. For more information please contact: Damodara Pandita Dasa (dpddas@hotmail.com), ISKCON Australia 50th Coordinator. 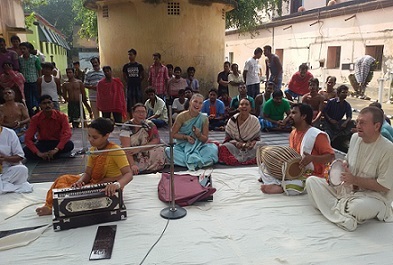 Krishnanagar, WB: The superintendent of Krishnanagar jail has asked ISKCON devotees to take over the kitchen. 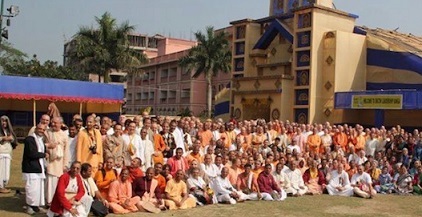 Devotees from Mayapur will be cooking for more than 1100 prisoner – provided all conditions are met. The prisoners will start getting pure vegetarian prasada and may even start following Ekadasi fastings. Mumbai: ISKCON Govardhan Eco-village held a twoday conference from October 31 to find integrated, sustainable and eco-ethical solutions for the management of food, water, energy and waste. The main objective of the conclave is to pool in ideas on integrated sustainable solutions from renowned speakers and practitioners and cast them into working solutions for a sustainable and synergistic future of mankind.